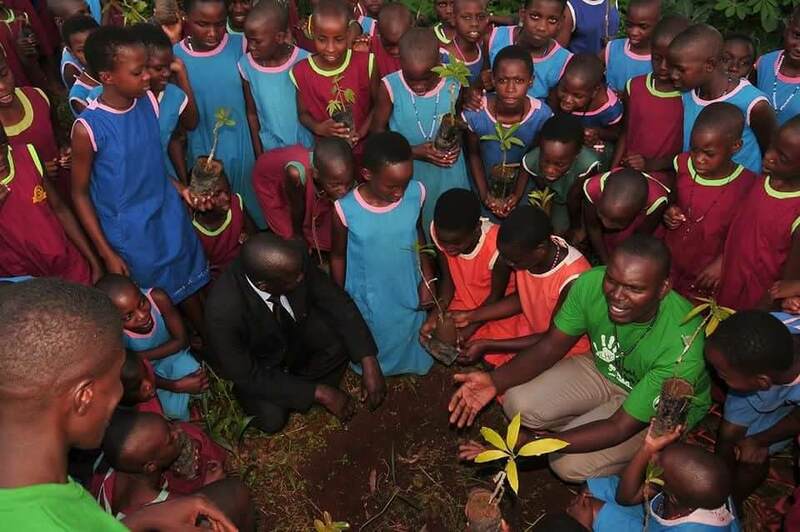 In the wake of the Earth Day, Uganda Little Hands Go Green has been involved in teaching masses about environmental conservation such as planting assorted trees in various areas like schools,collecting plastics. Uganda Little Hands Go Green is set to hold its annual conference to furhter teach children on the need to conserve the environment. The conference happening this Sunday April 22, 2018 will feature school going children, public who will be involved in interactions, discussions, challenges and exhibitions. The International Children's Climate Change Conference which runs under the theme End Plastic Pollution,Restore Wetlands,Protect the Future will be held at the Ntinda School For the Deaf and it is sponsored by KCCA, Mixakids, Java House, NEMA and Round Bob. The Go Green team has been on a school tour and been planting trees as well as teaching children about environmnental conservation.